2001, Nuts’n’Brittle came into being. 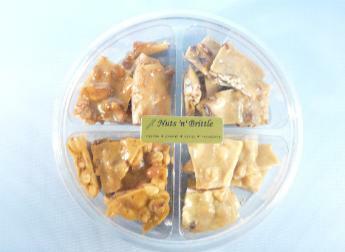 Homemade brittle is available in cashew, macadamia, peanut and pecan varieties. Packaged in 1/2 and 1 pound containers, you may choose a Deluxe assortment of 2 or 3 varieties or a Premium assortment of 1/2 pound of each of the four brittles. 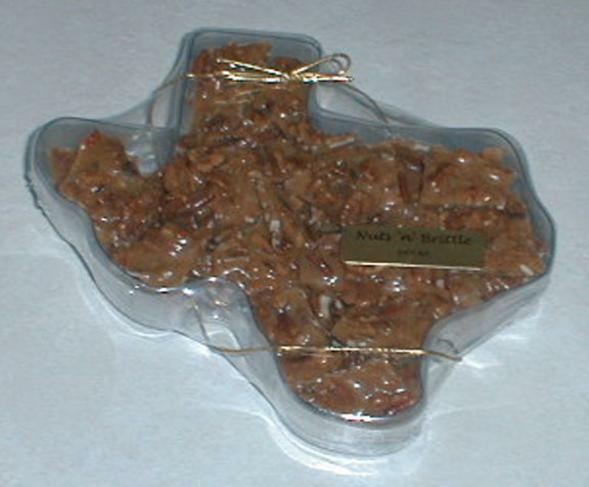 Brittle may also be packaged in a Texas shaped container which holds 1 pound. 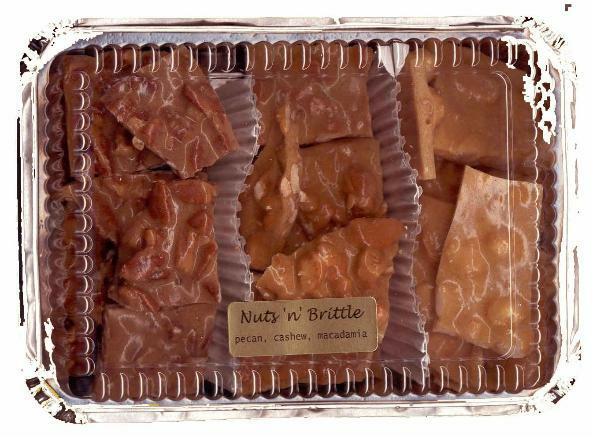 Nuts’n’Brittle is the perfect gift for birthdays, Christmas, special occasions, a thank you gift or special treat for yourself. All Brittles are homemade from our own recipe using real butter, pure vanilla and the finest nuts available. Take a look and select something delicious. Sold individually by the pound or half-pound. 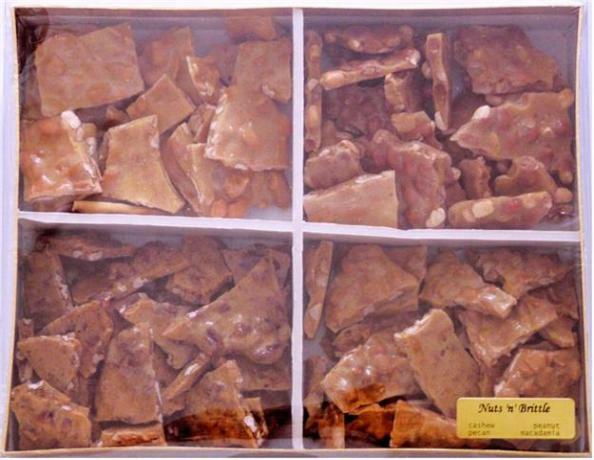 One-pound Deluxe Assortment combines your choice of 2 or 3 Brittles. Premium Assortment contains 8 ounces of each Brittle, great for gift-giving. Discount available for volume purchases sent to the same address. Please call 210-655-5828 for additional information. Last day to order for 2015 is Dec 4, 2015.